The West Auckland Brewery Co. Ltd. was formed about 1877, when the brewery and public houses were bought by a consortium of brewers [members of the trade] including J.W Cameron. It was located behind the Manor House to the north of West Green. There were at least 5 men with connections to the company who died during the war or shortly after it. In 1911, the manager was 56-year old Alfred William Monk. He been associated with the brewery for at least 20 years. In 1891, he was recorded as “secretary & agent”. Alfred and his wife Emily had at least 8 children, one of whom was Harry born in 1888 at West Auckland. Harry emigrated to Australia and in March 1916 joined the Australian Imperial Force, the Engineers. By November 1916, he was in France but soon fell ill and he was admitted to hospital in France before being treated in England. In May 1917, he was considered unfit for duty and transferred back to Australia. 21 December 1917, he died from TB in the Quarantine Station, North Head, Sydney. 9931 Sapper Harry Monk, 9th Field Company, Australian Engineers died 21 December 1917 and is buried at Rookwood Necropolis Military Cemetery, Sydney, NSW, Australia. He was 29 years old and is commemorated on the Australian War Memorial, Canberra and a family headstone, West Auckland cemetery. 250264 Serjeant John Robertson Field, 1/6th Battalion, the Durham Light Infantry was killed in action 31 May 1918. He has no known grave and is commemorated on the Soissons Memorial, France. He was 24 years old and worked as a clerk. 80111 Private Thomas Smith, Canadian Expeditionary Force, 31st Infantry Battalion was killed in action 7 April 1917. He has no known grave and is commemorated on the Ypres [Menin Gate] Memorial, Ypres, Belgium. He was 27 years old and prior to emigrating to Canada worked as a brewery clerk. 33255 Private George Spavin, 13th Battalion the Durham Light Infantry died of wounds 28 December 1916 and is buried at Lijssenthoek Military Cemetery, Belgium. He was 33 years old and worked as a drayman. 319104 Flight Cadet Norman Andrew Clay, Royal Air Force died 29 October 1919 and is buried in West Auckland Cemetery. He was 21 years old and at the time of his death, Norman worked as a “brewer’s clerk”. The headstone for Flight Cadet Clay was provided by the Commonwealth War Graves Commission. 5 January 1917: Alfred Monk died and his 3 sons, Sydney, Fred and Harry were all on active service. The family business affairs were looked after by Alfred’s daughter, Carrie. This is another example of the war providing opportunities for capable women hitherto overlooked for such duties. 7 February 1925: The Memorial Hall, commissioned by the West Auckland War Heroes Fund Committee, was formally opened by Mrs. Malcolm Smith . It cost £2,750 with money raised by public subscription and the Miners’ Welfare Committee on land donated by Messrs. Bolckow & Vaughan. A donation of £50 was given by the directors of the West Auckland Brewery Co. on the understanding that a public hall was to be erected. Sydney Monk played an active role in the War Heroes Fund committee. WEST AUCKLAND BREWERY located behind the Manor House, Front Street. 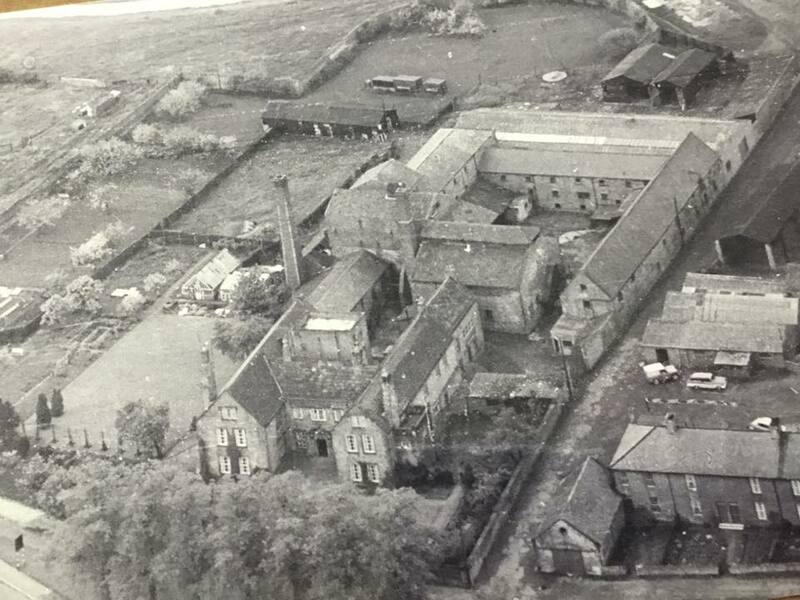 A brief history of the West Auckland Brewery Company places its origins in 1840 at West Farm. Another reference locates it “behind the old hall that had been the house of the Eden Family”. The above photograph was taken in the mid 1960’s. Probably 25 years since the 1891 census records 5-year old Fred, born at West Auckland, born c.1886.